Born in Boston, Lois Mailou Jones was among the first African-American graduates of the Boston Museum School of Fine Arts. As a professor of design and watercolor painting at Howard University for forty years, she has been a strong force in teaching and promoting African-American art. Leopold Sedar Senghor (born 1906), the first President of the Republic of Senegal, is recognized as one of the most significant figures in African literature. 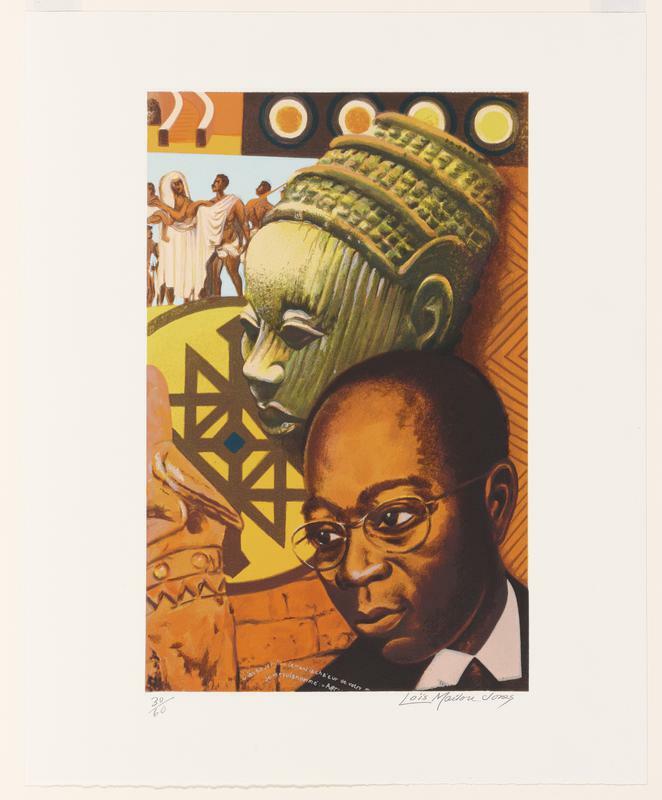 He studied French literature at the Sorbonne University, Paris in the 1930s and started an important black literary and philosophical movement called "Negritude," which promoted pride in African history and culture. In 1984, he became the first black elected to the French Academy.